Morning walks, sleeping under the table, barking at the postman; your dog’s days are action packed and now you get to know about it all. Animo tracks the total time in hours and minutes that your dog is active each day, so you can ensure they get enough exercise to lead a healthy lifestyle. Animo will start to collect information as soon as it is attached to your dog’s collar. 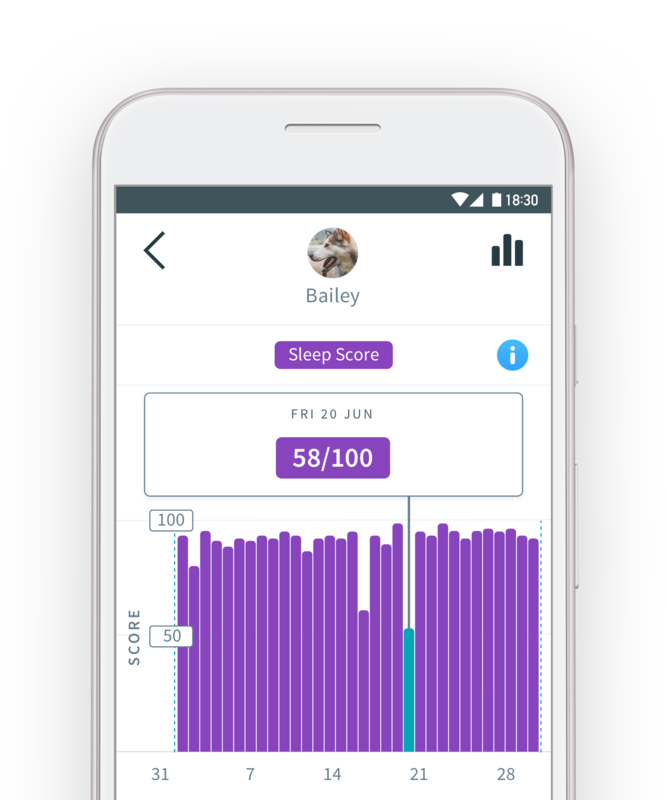 After a 7-day period where the device learns your dog’s “normal” levels of activity, you can start setting daily activity goals. Activity is categorised as walking, running or any other movement, such as playing. 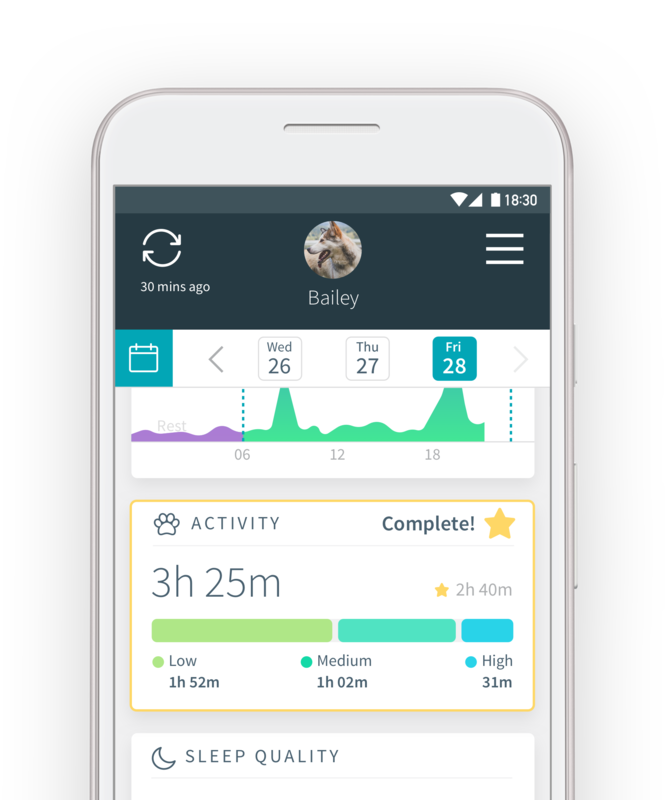 Animo lets you set a daily goal for your dog and you can track their progress via the app. Graphs highlight longer-term trends. Animo calories calculation is based on an industry standard calculation that takes into account your dog’s weight. 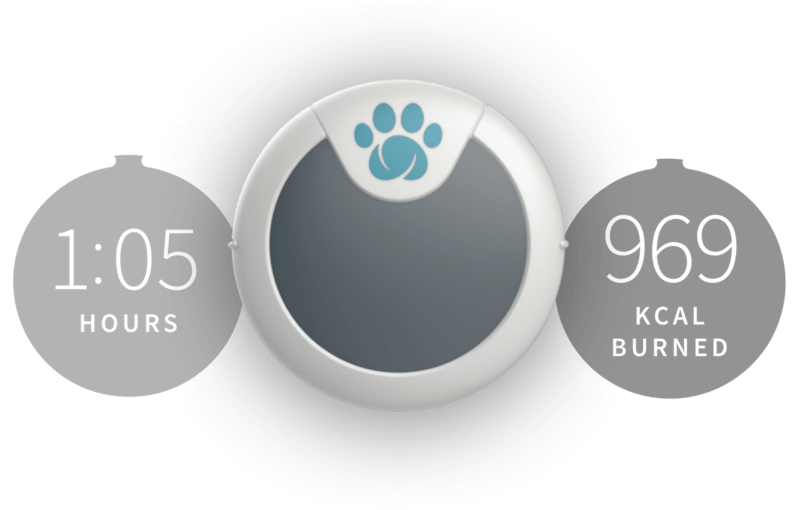 The calories burnt are tracked against each movement type for your dog. Everything your dog does, even relaxing on the sofa, burns calories. 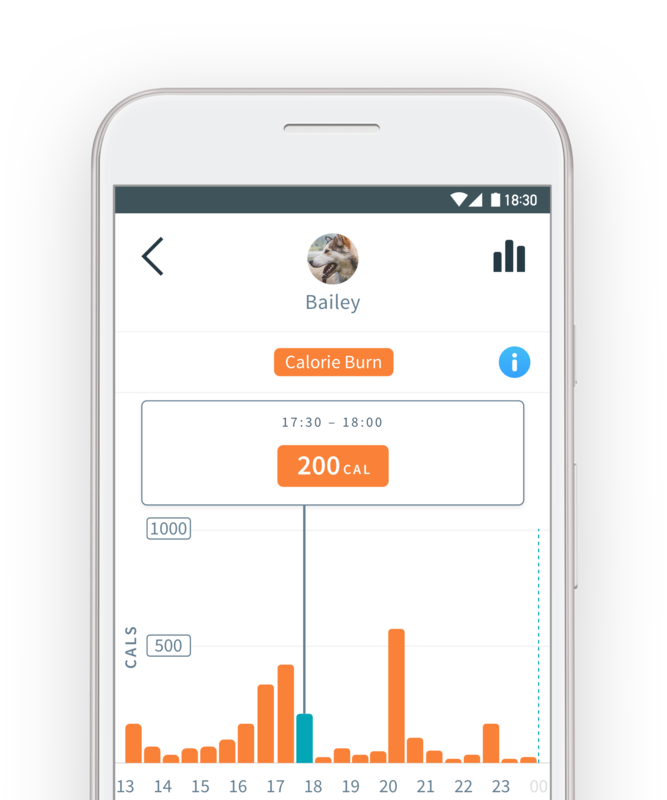 Animo tracks the calories that your dog burns each day and the data can be reviewed in graphs by day, week, month and year. A good night’s sleep can do wonders for your dog’s overall health and wellbeing, while several nights of poor quality sleep may be a sign of stress, discomfort or illness. 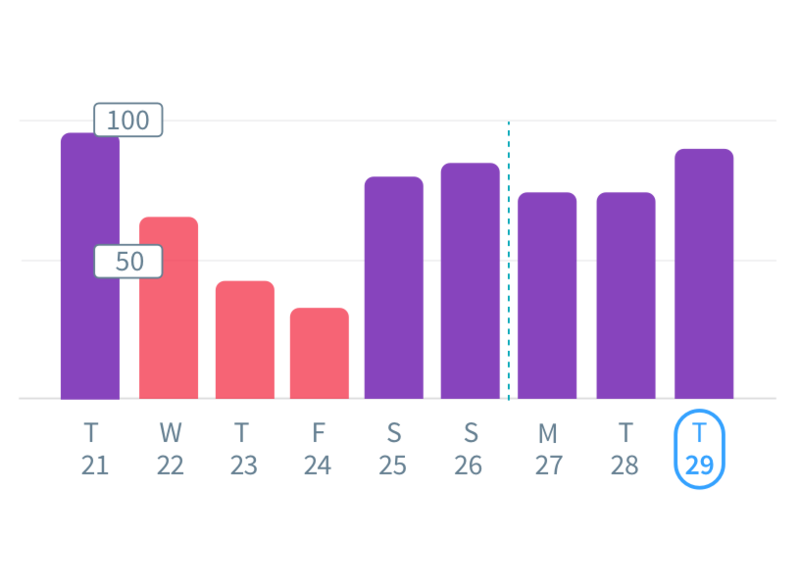 Animo records a sleep score for each night based on the length, continuity and the amount of movement during sleep. It can be difficult to keep track of changes in your dog’s behaviour. Even small changes can give you a critical insight into your dog’s health and wellbeing. Animo will start to collect your dog’s behaviour patterns from the moment that it is attached to the collar. However, there is a 14-day learning period, where Animo will establish what is “normal” for your pet, so that any increase in behaviour can be easily identified in the reports. Once it has learnt your dog, unique insights based on your dog’s behaviour will be displayed for as long as you are using Animo. Animo can accurately detect when your dog barks, scratches or shakes and alerts you whenever there is a significant increase in any of these behaviours. 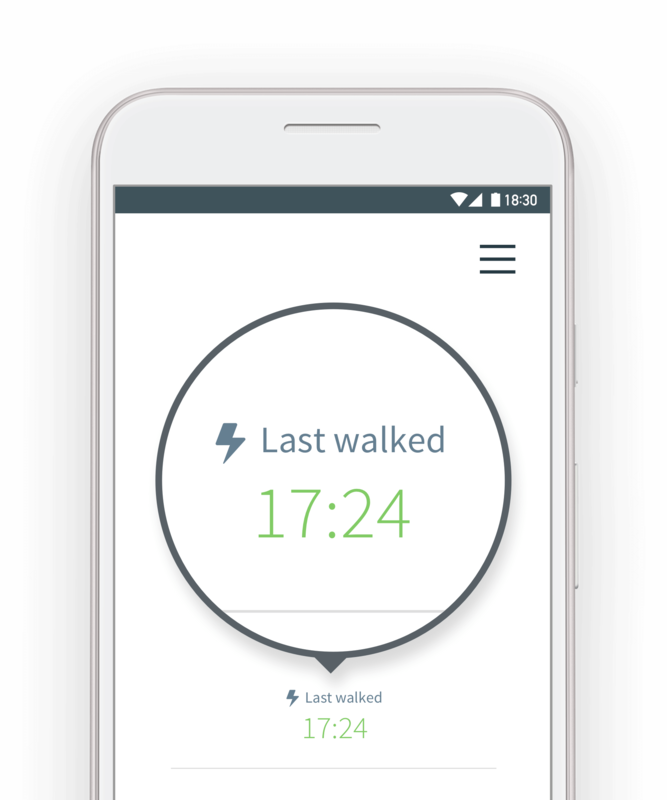 Animo’s home screen gives you an overview of when your dog was last active for an extended period of time, such as when your dog has taken his morning or evening walk. “Exercise” is categorised as any extended period of activity where the majority is walking or running. 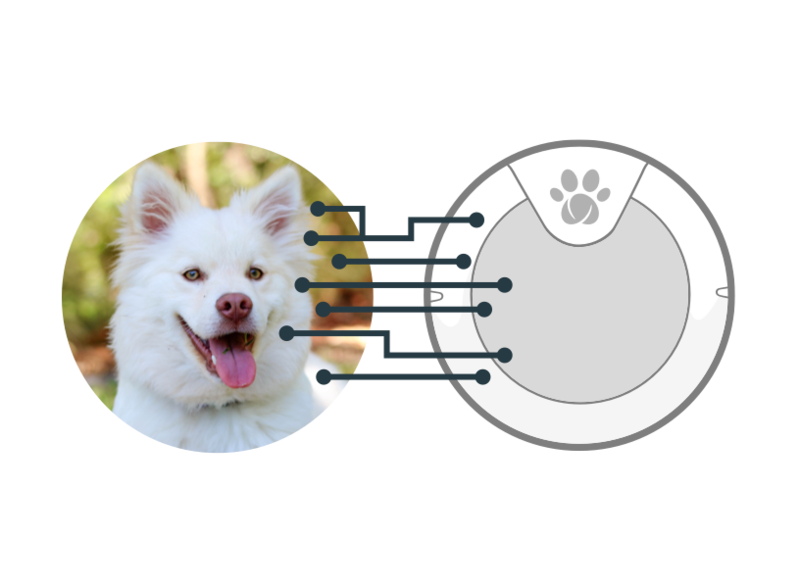 Animo uses an adaptive algorithm that learns, interprets and gives you facts that are specific to your dog. This changes throughout your dog’s life, so you can understand more about your pet as they get older. Animo sends alerts if your dog begins to show significant changes in behaviour including barking, scratching and shaking. You can also discover long term changes in your dog’s sleep, where a decrease in quality may be a sign of arthritis or other environmental factor which is disturbing your dog at night. 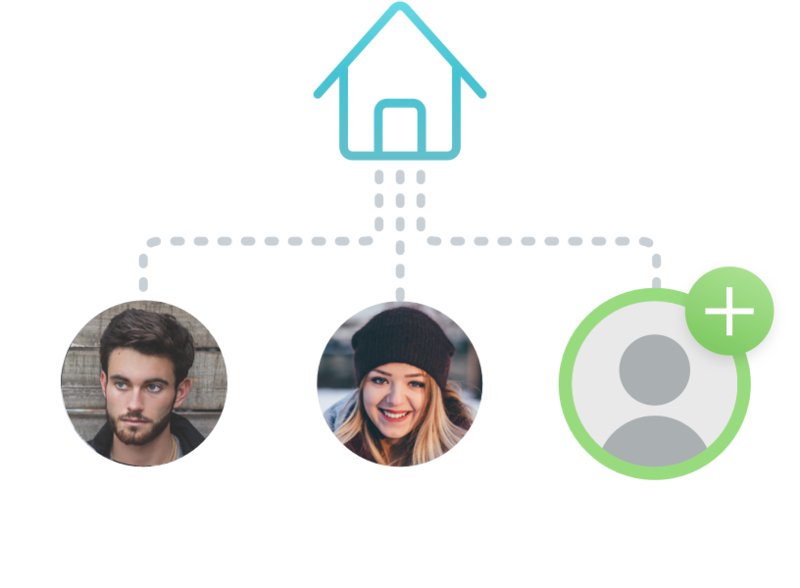 Allow friends and family to sync the latest data from Animo, so that everyone in your household can keep up to date with your dog’s activity. In 2015 Sure Petcare became an Antelliq company, giving us access to Antelliq innovation centres around the world.These specialist centres contain large pools of knowledge from over 20 years of animal monitoring,machine learning and artificial intelligence. As an organisation, Antelliq monitors over 5.5 million animals every day, analysing more than 150 data points every second to provide the actionable information needed to look after the health and wellbeing of animals around the world. 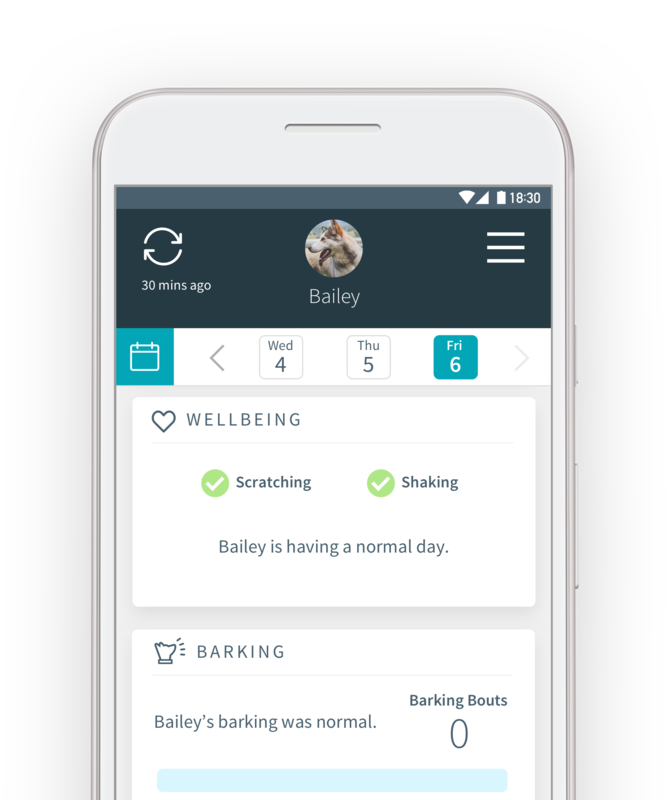 Over the last 18 months, using Antelliq’s animal monitoring knowledge and our experience in pet technology, Animo was developed with expert dog behaviourists and vets to create an algorithm that adapts to each specific dog. From the moment you attach Animo to your dog’s collar, the algorithm begins to learn their specific traits (e.g. how they like to hold their head, up or down) and adjusts the decision making and data analysis criteria accordingly. 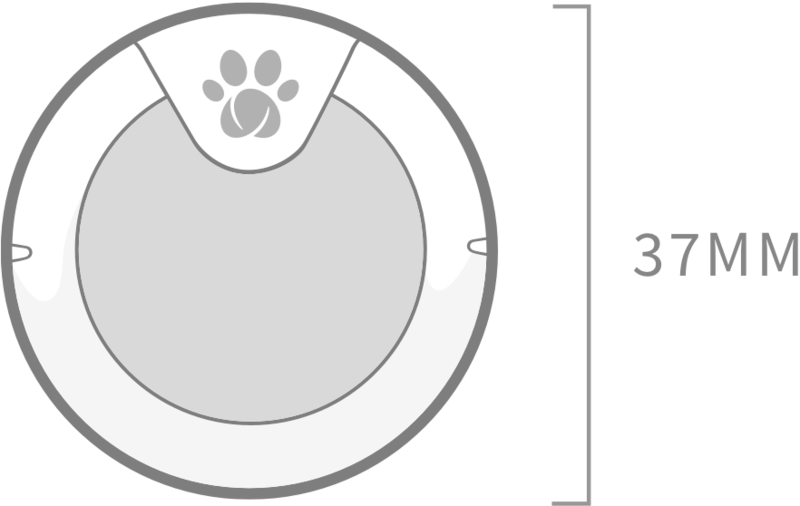 This provides each dog with a unique algorithm tailored to them, so that different sizes, breeds and personalities of dogs are accounted for and the data we provide is of the highest accuracy. Fits collar widths 12mm – 30mm / ½" – 1 ¼"